True to its name, the rose-colored walls contain three windows overlooking Main Street from the second floor. 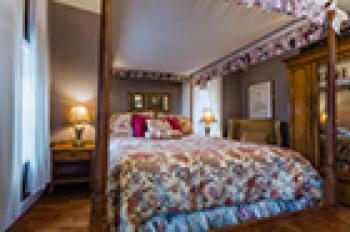 The four-poster bed is full size, and the bathroom, with a claw-foot tub and a shower, is located just a few steps away in the hallway. 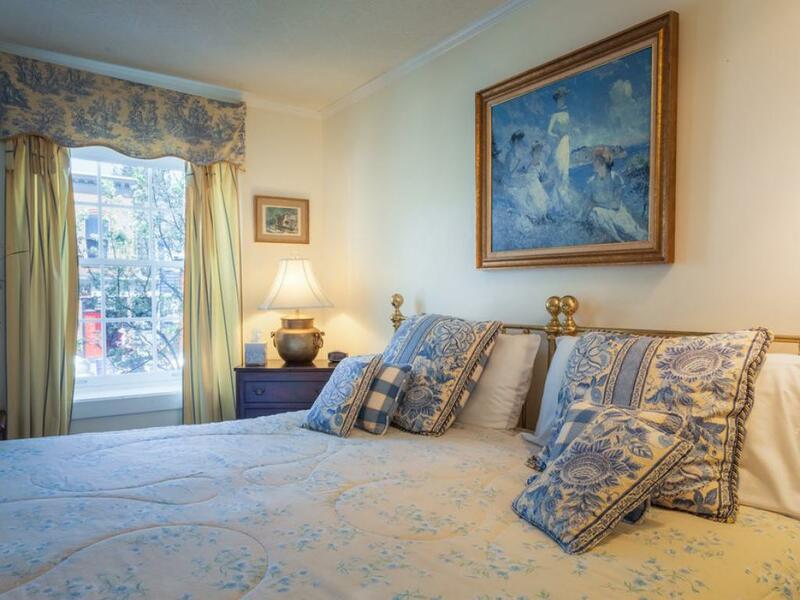 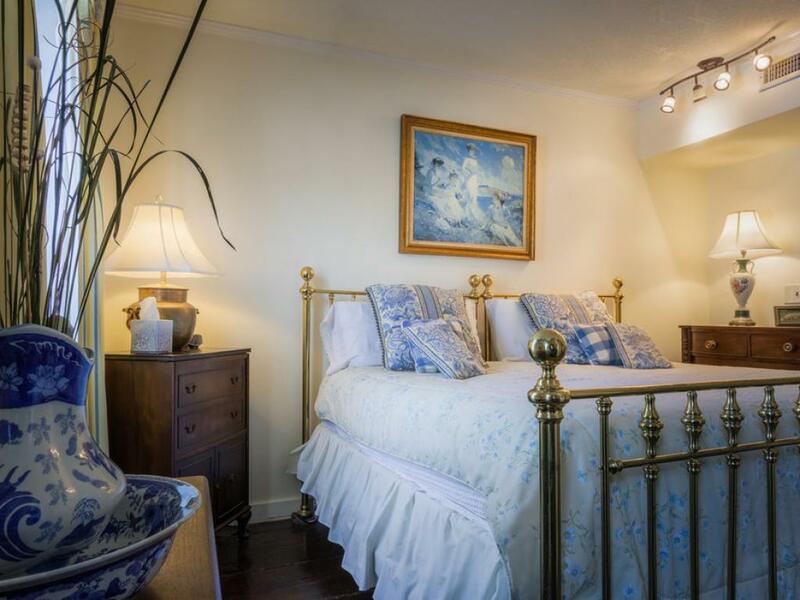 Decorated in blue and brass, this room contains two twin brass beds that can be combined to make a king-size bed. 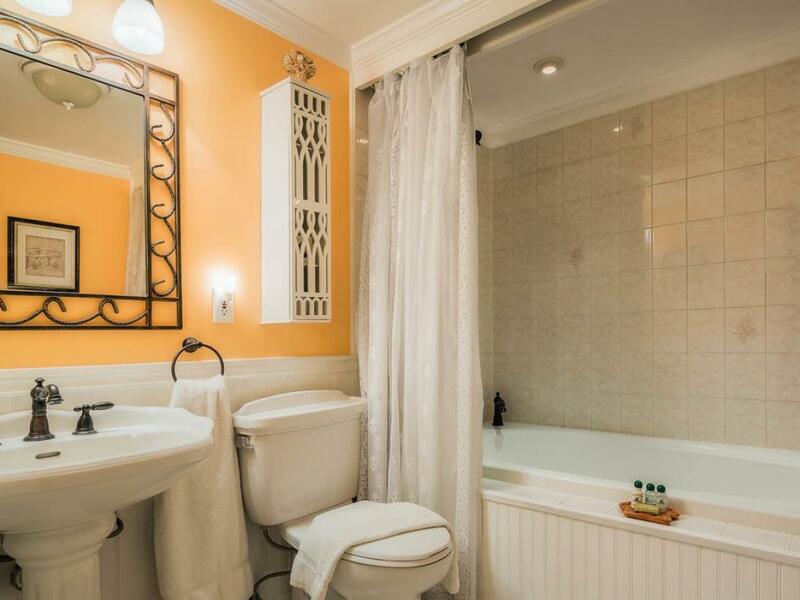 The private bath features a shower. 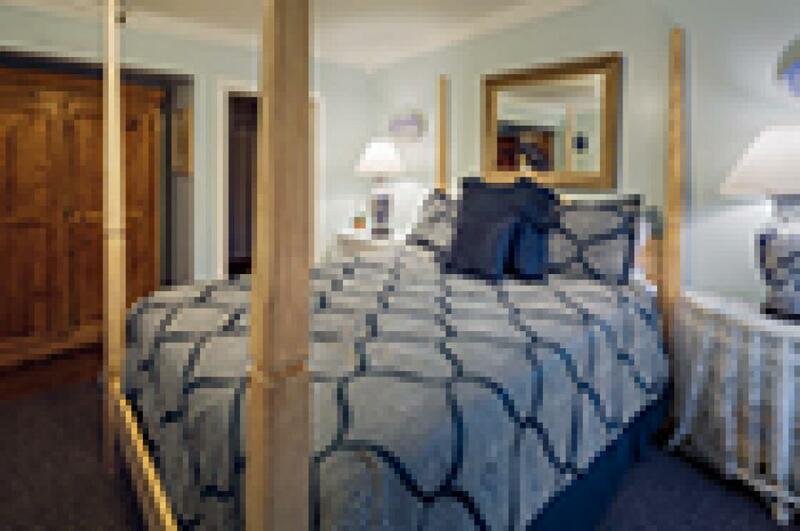 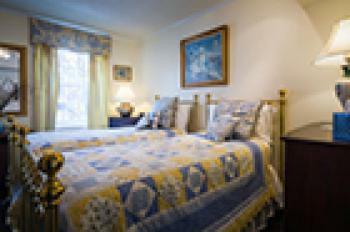 When reserving this room, please let us know if you would like two twin beds or a king arrangement. 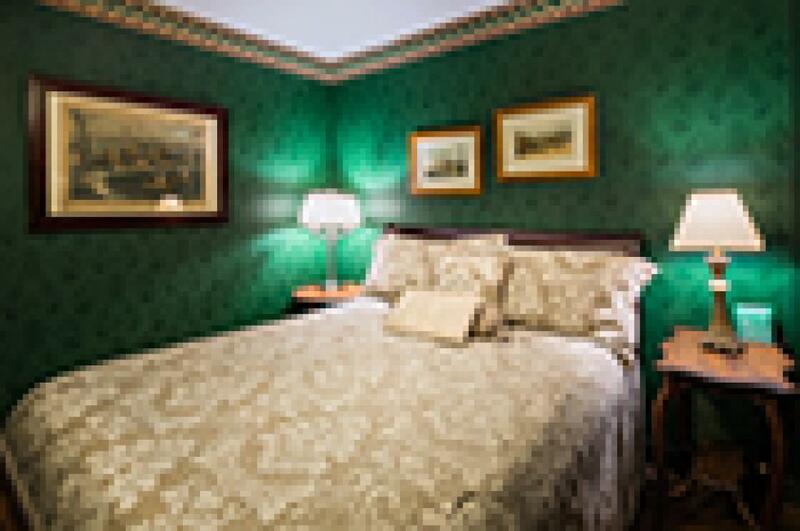 Overlooking Main Street, this is one of our best-lit rooms. 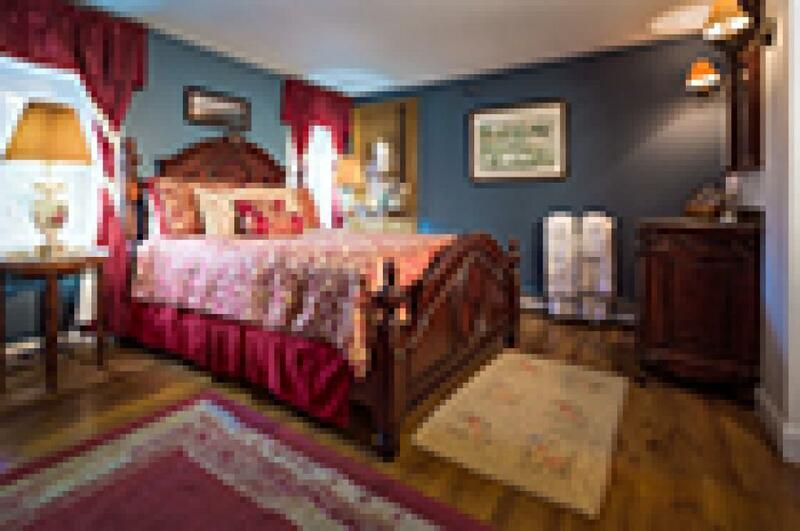 The woodburning stove is located at the foot of the four-poster, queen-size bed. 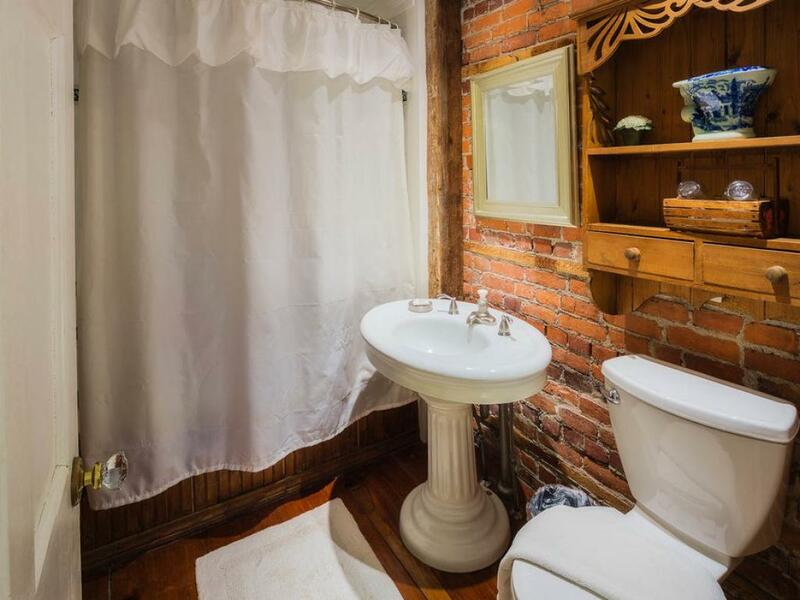 The private bathroom, with its shower/tub, is accented by an exposed brick wall. 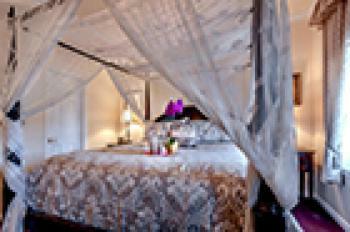 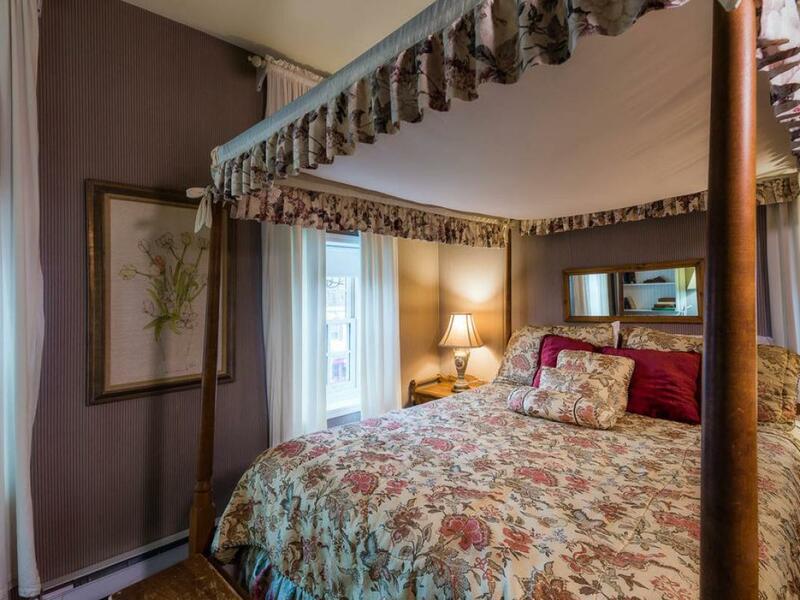 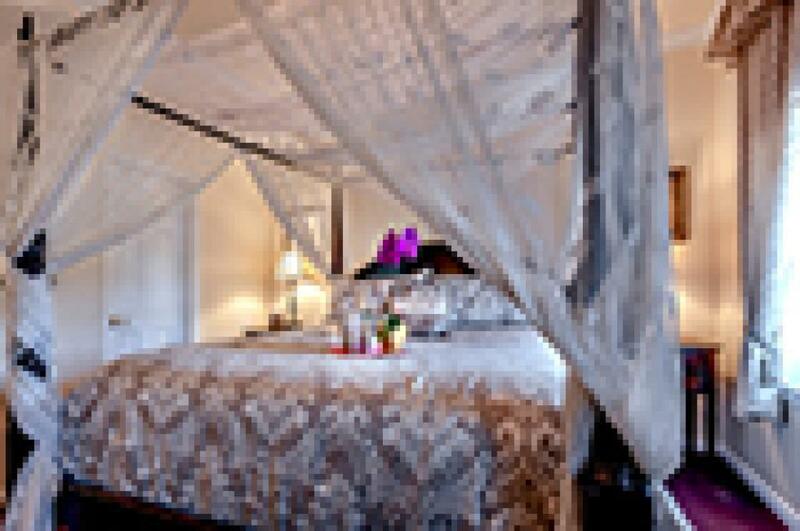 Our most romantic room, the king-size canopy bed takes our guests' breath away. 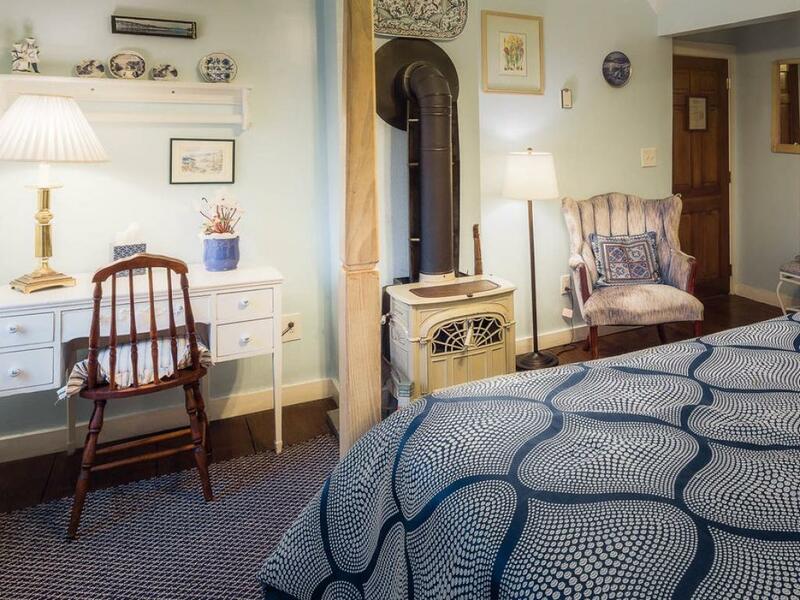 The woodburning stove creates a cozy environment for breakfast in bed. 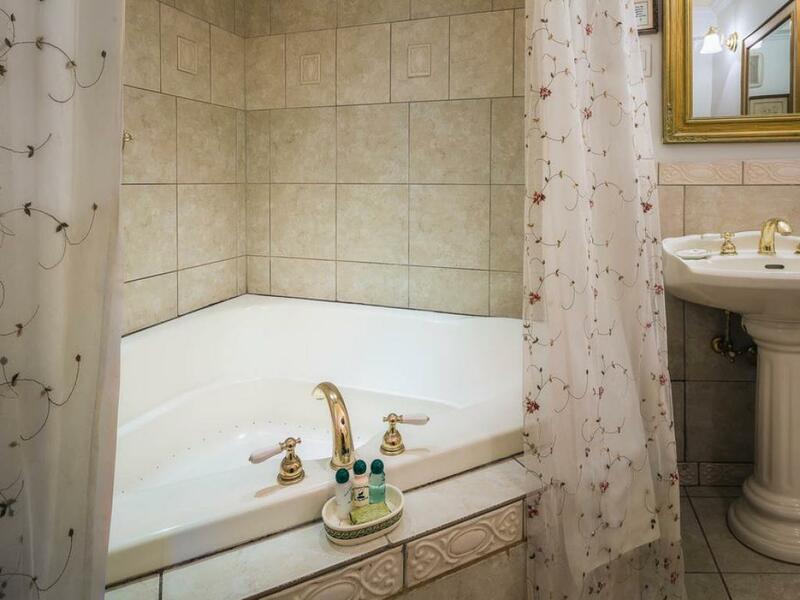 The large private bath features a two-person jacuzzi tub. 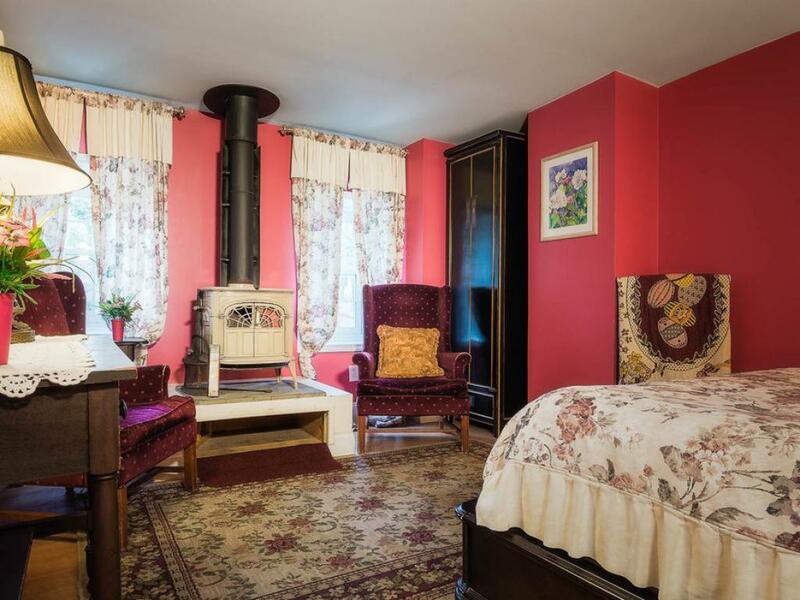 Quiet, romantic, and intimate, this room on the third floor features a woodburning stove at the foot of the queen-size bed. 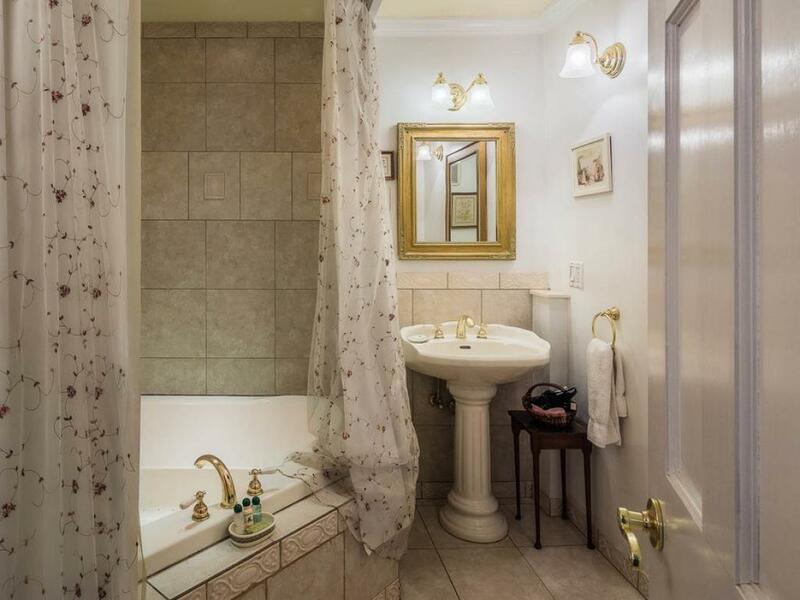 The highlight of the private bathroom is the jacuzzi, a perfect place to relax after a long day of hiking. 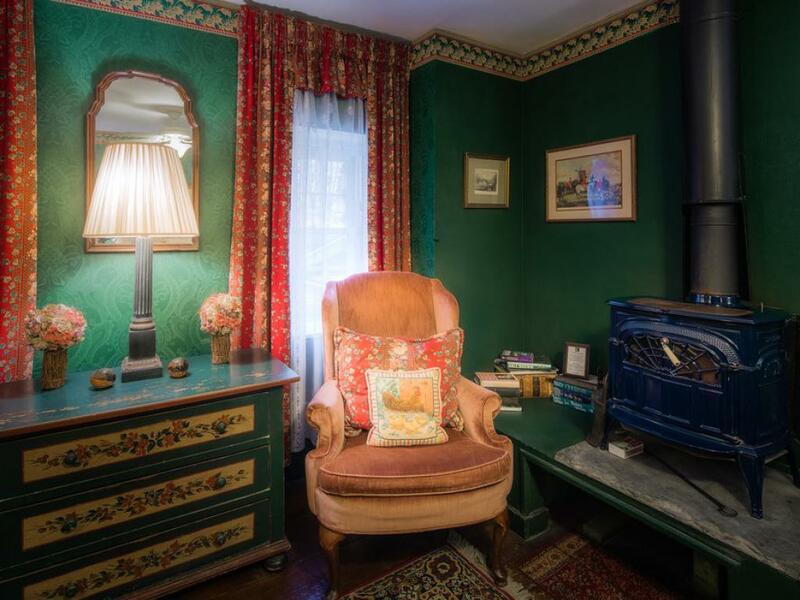 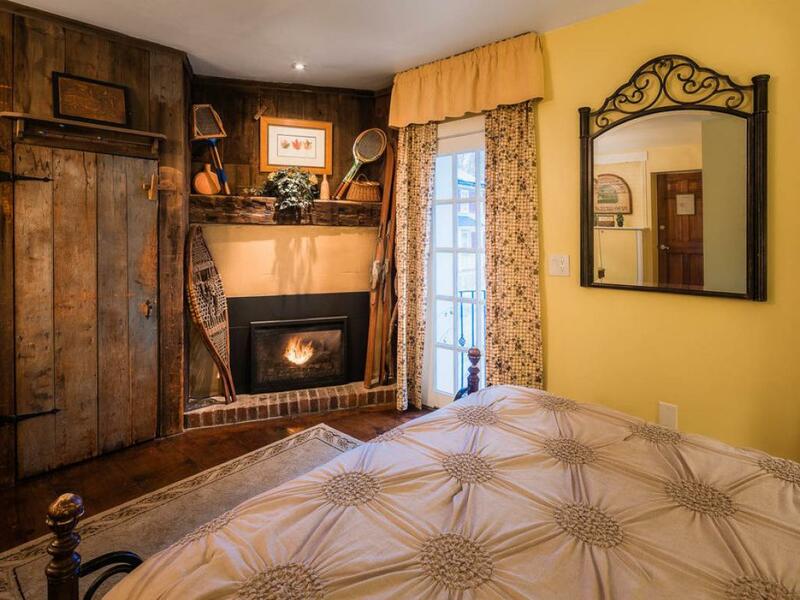 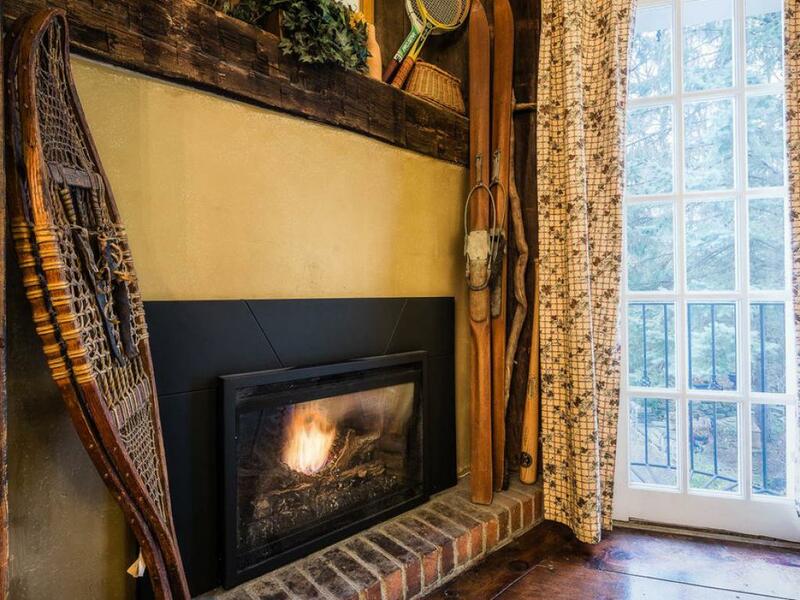 This rustic room features an iron queen-size bed and a wonderfully romantic fireplace. 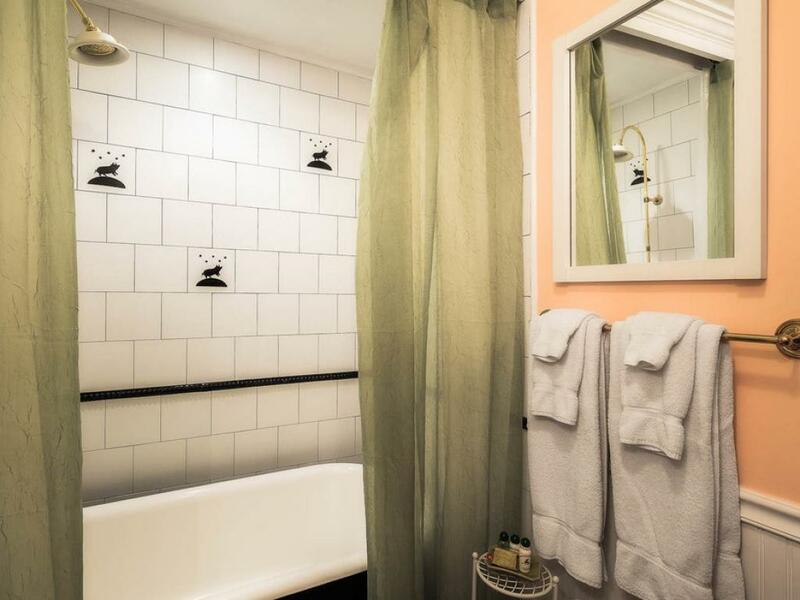 The private bathroom has a tiled shower. 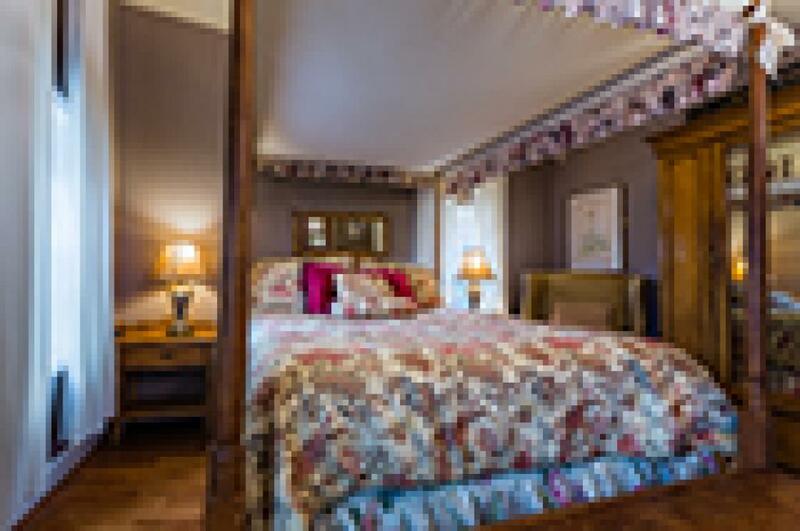 One of our most requested rooms, the wooden sleigh bed is queen-size. 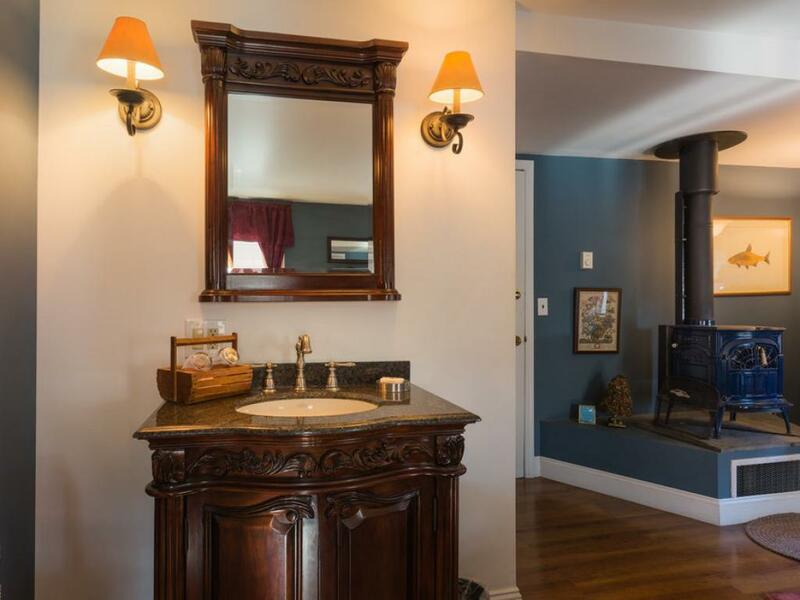 Near the two windows overlooking the garden is a woodburning stove. 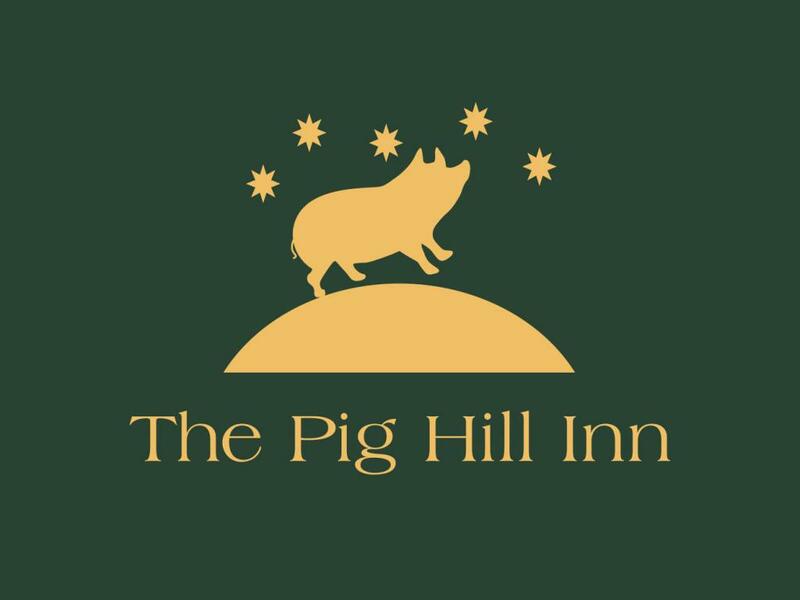 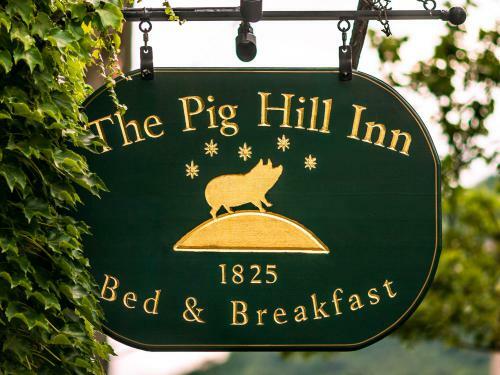 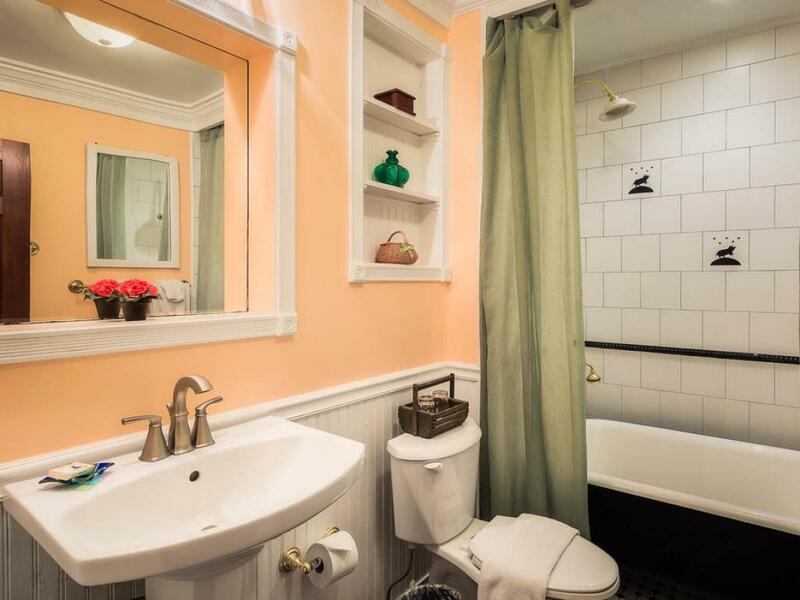 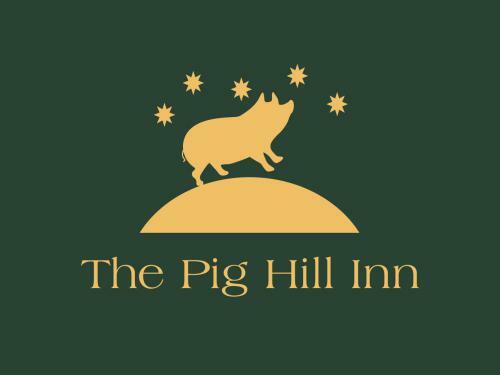 The private bath features a claw foot tub with shower and our very own Pig Hill Inn tiles. 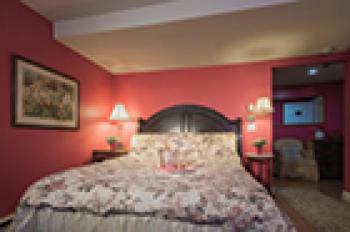 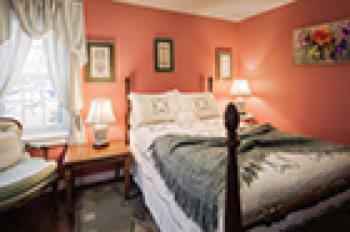 When you walk into the room, you will notice the woodburning stove to your left and the queen-size bed facing you. 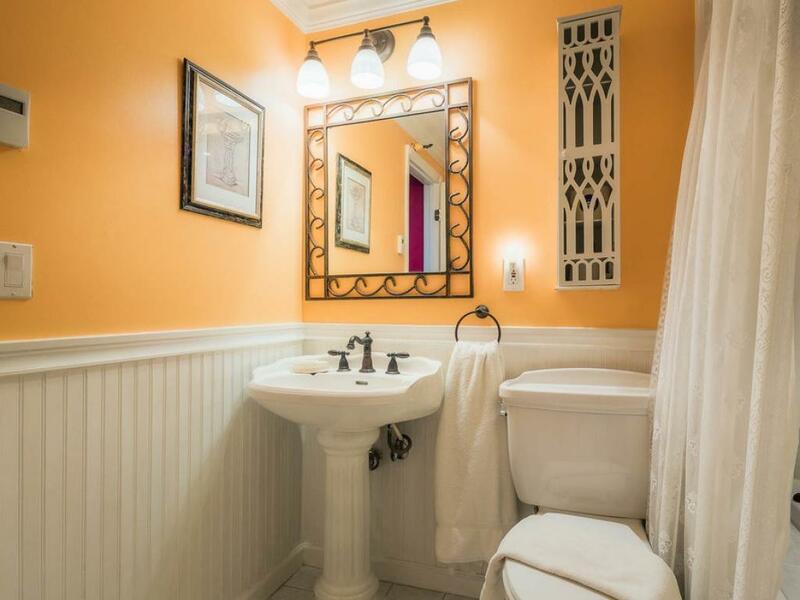 There is a marble sink in the bedroom and a marble shower in the private bathroom. 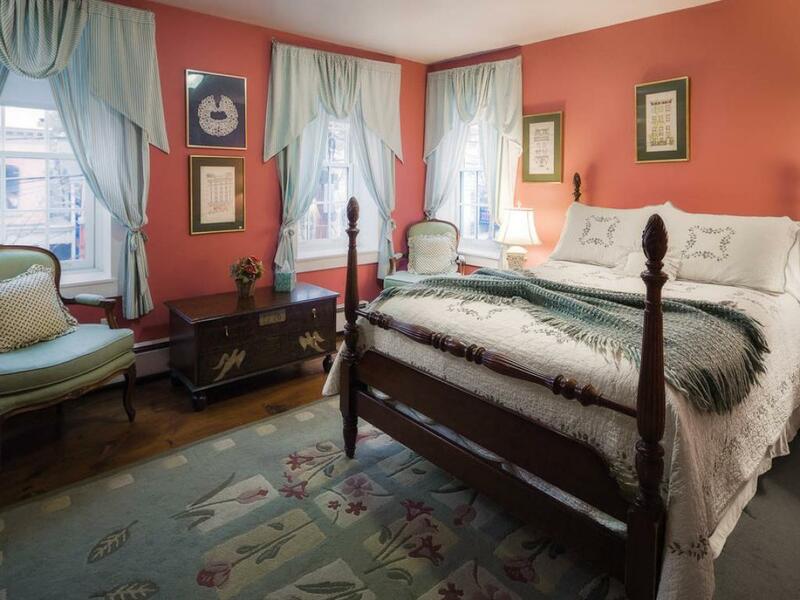 Built in 1825, our three-story inn features nine individually decorated rooms with antiques and high-quality reproduction period pieces. 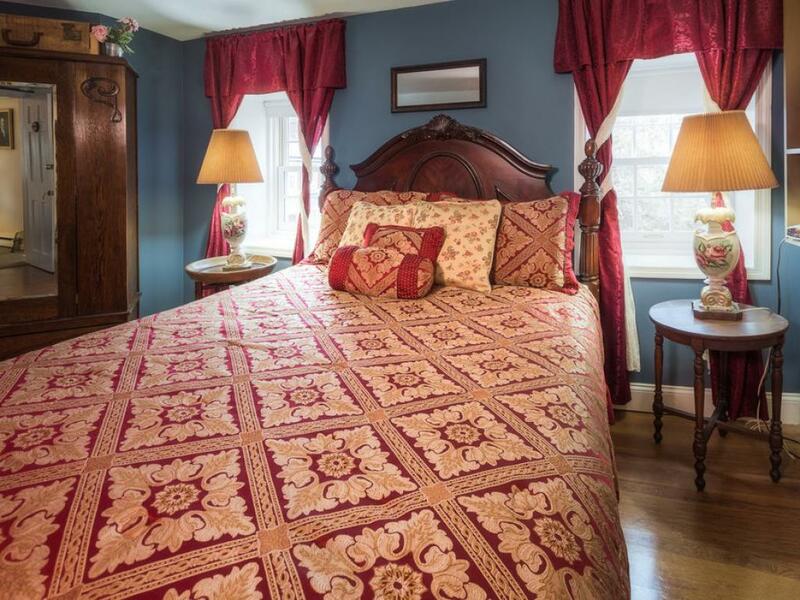 If you happen to fall in love with that wicker sleigh bed in your room and you simply must have it, you may. 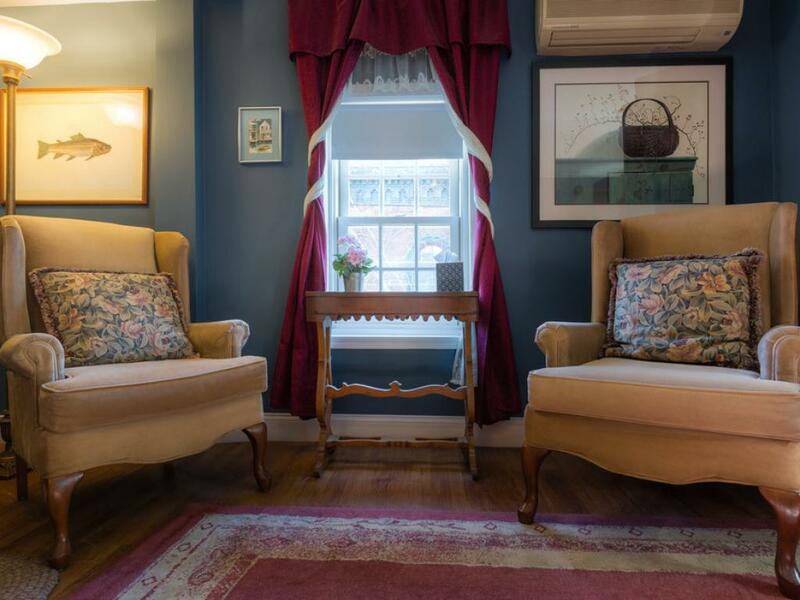 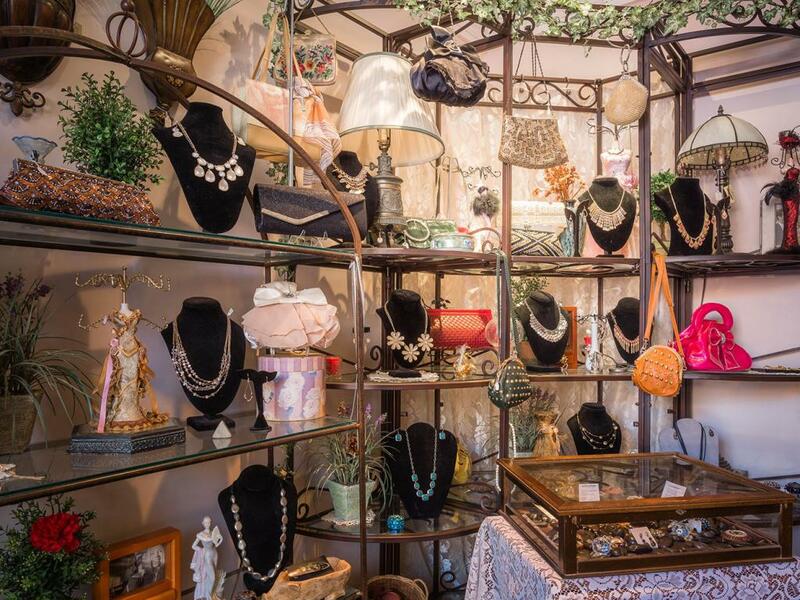 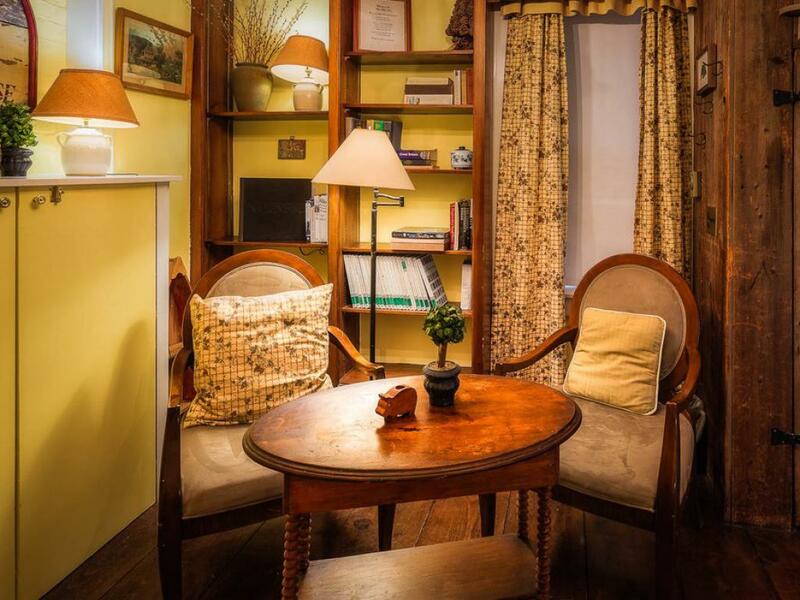 Most of our furnishings are for sale, except for a few treasured sentimental items. 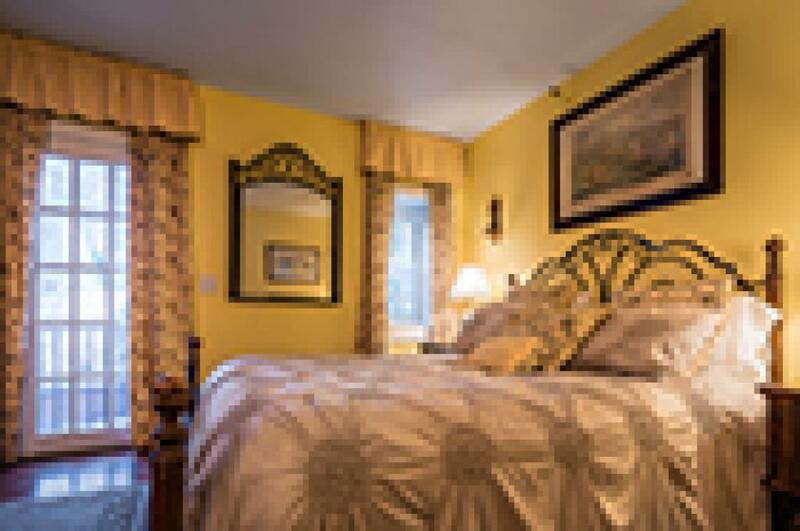 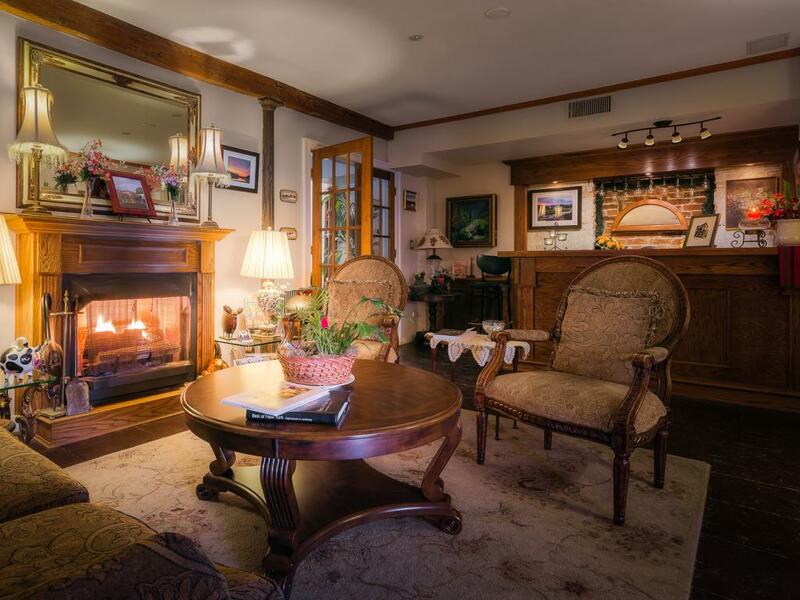 The majority of our rooms have queen-size or king-size beds, fireplaces and woodburning stoves. 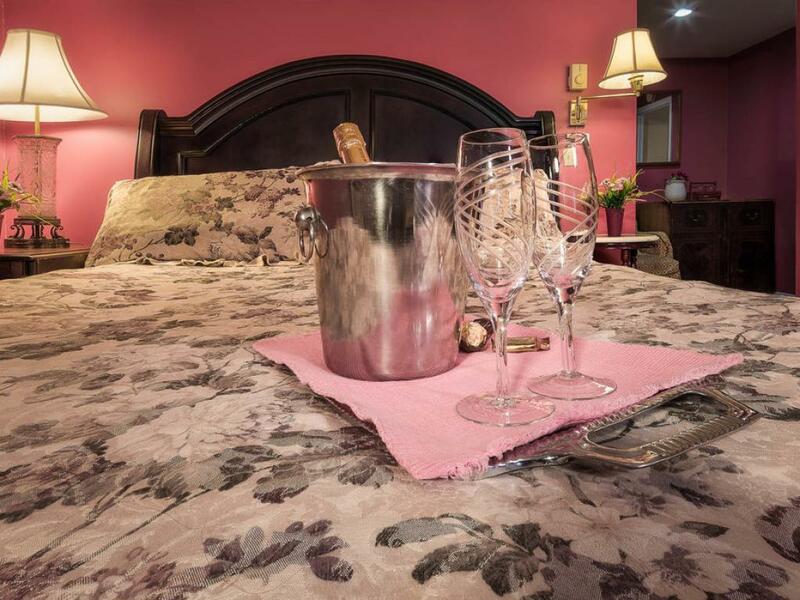 All the rooms have private baths, two of which boast jacuzzi tubs - a wonderful romantic indulgence or a great way to relax after a day of hiking Breakneck Ridge. 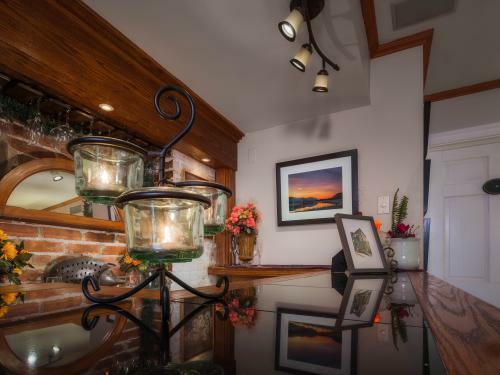 Each room is equipped with its own air-conditioning/heating unit so you can be toasty warm on the chilliest of evenings and comfortably cool during those hot summer nights. 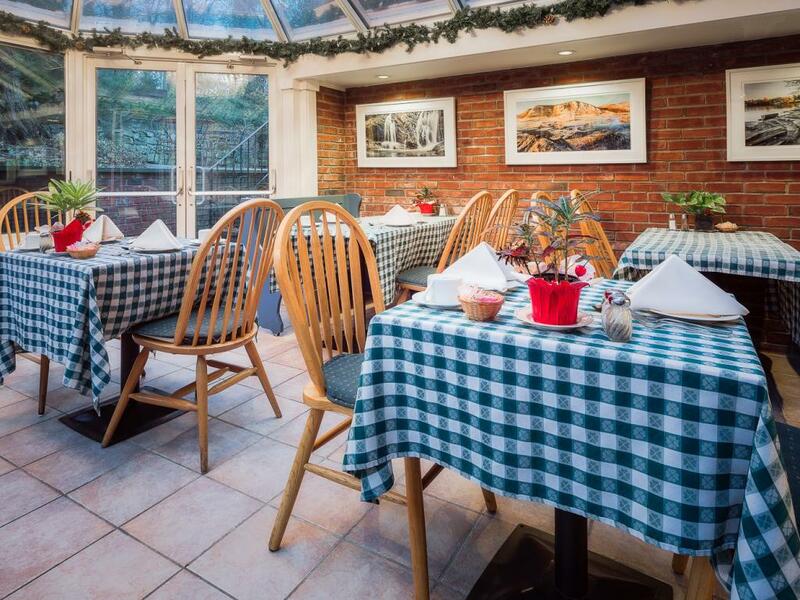 Guests are welcome to enjoy their full breakfast either in their room, in the glass Victorian Conservatory or on the garden terrace (weather permitting). 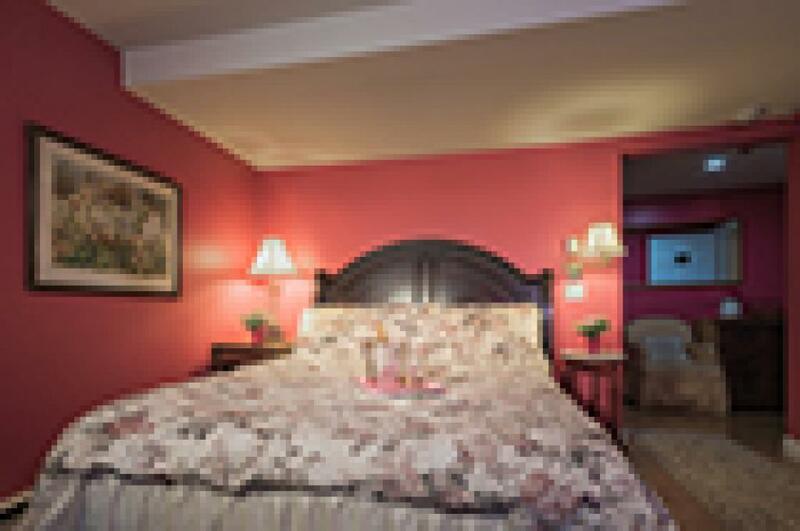 We also offer therapeutic massages in the privacy and comfort of your room.